We pride our business on quality meats and have achieved top reviews (5 stars) from our Facebook and Twitter pages! We locally source fresh meat and poultry, and we are renowned for our award winning sausages, which are listed in many pubs and restaurants including Chester Grosvenor hotel. 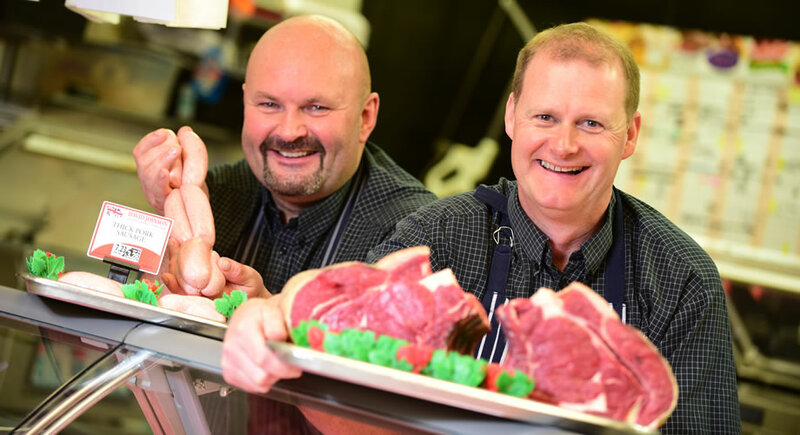 Established 30 years in Chester market you will be greeted by our friendly skilled butchers. David Joinson is taking a further step in revolutionising his meat in the new state of the art ‘Dry Aging fridges’ for the best flavoured steaks. Come and grab yourself the very best quality meats at extraordinary prices.